SEO Page Title or Title Tag and Why is Important to On-Page SEO? What is Page Title in SEO? 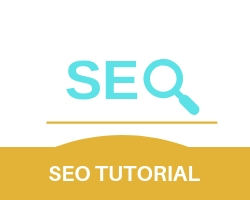 An SEO page title is the title tag located at the title bar of your browser. It consists of meta tags in the HTML inside the head area. Telling the users and search engines about the website is the main function of an SEO page title. Why is Page Title in SEO and Important to On Page SEO? As mentioned page titles briefly tell the users and search engines what the content of the page is and what the website is based on. A good title tag can immediately tell the user and the search engine of the website without explanation. Modifiers- adding modifiers to your title like easy, best, free gives a higher chance of creating long tail keywords, although avoid modifiers for your homepage title. Keyword separation – Separating your keywords with “-” or “_” is not recommended, instead use “|” which is known as a pipe. Don’t repeat title tags- avoid repeating title tags for multiple pages as chances are that the search engine might display the wrong information in a SERP, which can lead to failed first impressions. Keep it simple- avoid complicated or complex words as it becomes harder for the user to remember it. By keeping it simple and clean, it creates a long-lasting and easy impression. Company or the websites name- avoid using the company or the websites name unless it is a focus keyword or is extremely memorable and easy to say.